Magnification is the nineteenth studio album by progressive rock band Yes, released in 2001. It was the band’s first album of the new century, and their second with a full orchestra (the first being Time and a Word from 1970). It marked the band’s last studio album to date with vocalist Jon Anderson. The long history of the British band Yes known may be supposed. Prized for their symphonic, progressive rock sound and the falsetto of singer Jon Anderson. 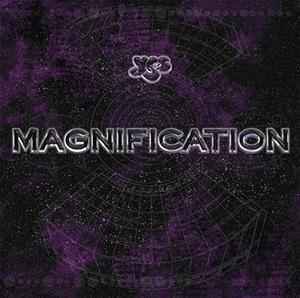 Magnification, the 32nd album, recorded with a classical Orchestra conducted by Larry Groupé. Right by the Orchestra gets Magnification something of a concept album, which is actually not true, because the album no connecting story tells. Though the orchestra gives the already dramatic symphonic album an extra load in the pace and the alternation between the vocals, the long guitar solos and the beautiful violin arrangements. Magnification is an atmospheric album that evokes nice memories of the 1970s, highlighted by the long drawn out Give Love Each Day and the subsequent Can You Imagine. The tracks on this edition have no frequency above 16kHz and are probably MP3 sourced! Slightly better than The Ladder but still misses the mark. Starts off promising but fails to deliver after about the third track. Mine is exactly like this, matrix numbers and all. Only black.